The British island hides many amazing secrets and beautiful landmarks. You will need a lifetime to visit every historical building an old bridge in the old Empire. Or even better why not just remove there and spend a couple of years in roaming the vast green fields filled with castles and medieval fortresses. It may sound great but alas, it is hardly possible. We have another suggestion, why not start with something small and build your adventure from there? Here is a list of incredible landmarks that you can visit on the weekends with family or friends. 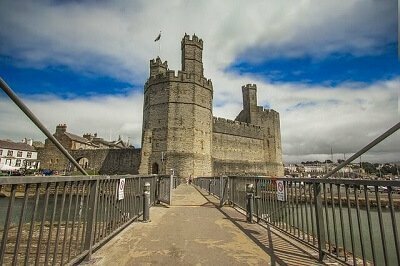 The most majestic and impressive castle in Wales is Caernarfon Castle in Gwynedd. This 800-year-old castle has UNESCO World Heritage Site status and is one of the most famous castles on the Island. Built by orders from Edward I the castle served as an administrative centre of north Wales. This beautiful fortress has two main entrances, a vast inner court and of course, is on the seashore – it had a defensive role as well. If you are stopping by you can visit the Edwardian castle every day from 9:30 AM to 5:00 PM. One of the most beautiful and famous suspension bridges is the one spanning over the River Avon in Bristol. An architectural masterpiece the Clifton Suspension Bridge was built in 1864 and designed by the young Isambard Kingdom Brunel. An interesting fact is that the bridges two towers are not identical. On the initial plans, Brunel’s design included two big sphinxes nut they were never constructed so nowadays you can see that the Leigh Tower has more pointed arches and chamfered edges. You can book a free tour of the Bridge on weekends from April to October. London has so many remarkable landmarks and historical buildings that it deserves an article on its own. But the one that is perhaps most loved by all tourist, photographers and Londoners is Tower Bridge. There are so many songs and urban legends considering this beautiful suspension bridge. It is worth it to relocate to London just to see it open – one of the rarest and most anticipated events. 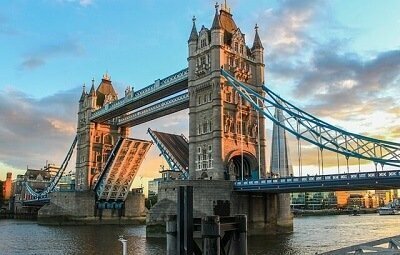 The bridge is named after its two marvellous towers which are opened for visitors, you can also visit the Tower Bridge Museum and learn a lot about its history and its construction. It may not be the oldest architectural monument but surely is one of the most impressive ones. The largest and most beautiful medieval cathedral in north Europe is The Cathedral and Metropolitical Church of Saint Peter in York or simply York Minster. The cathedral is most famous for its fascinating windows, one of which the Great East Window, is the most significant example of medieval stained glass. The restoration of the windows 311 panels took close to 92,400 hours of labour and 10 years from 2008 to 2018. And that is not all York Minster has two bell towers a couple of shrines and some amazing vaults, a true gothic masterpiece. You will need more than a day to properly admire to this architectural jewel. 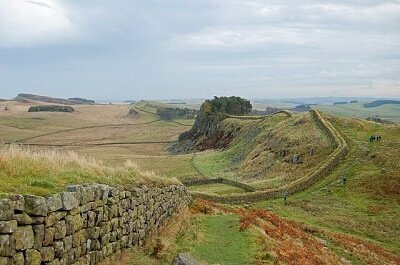 The oldest landmark in our list is the Hadrian’s Wall. Built around 122 AD by the Romans this stone wall had only one function – to protect the Roman lands from the barbaric tribes from the north. The wall ran from the River Tyne, across the land and ended on the coasts of the Irish sea. There was a fourth build every five Roman miles and it was one of the heaviest guarded places on the British Island. After the death of Emperor Hadrian, the wall was left unoccupied because of the construction of the new wall that was even farther to the north. Nowadays a 150-metre part of the wall is a UNESCO World Heritage Site and it is one of the most important Roman monuments in the country. It is free for visiting, so pack your bags and have a family weekend of exploration and lots of history.